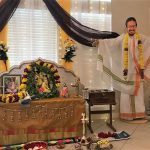 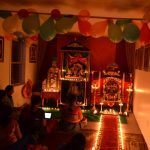 Houston Namadwaar celebrated Navaratri with Akhanda Mahamantra Nama sankirtan on October 16, Saturday, from 7 AM to 12 Noon. 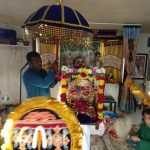 This was followed by a short talk by Sri Jeevanji. 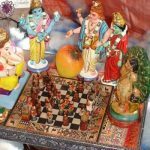 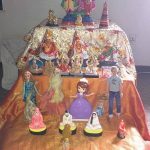 Namadwaar also boasted a Bommai Kolu (doll display) throughout the nine-day festival. 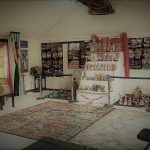 Apart from dolls of various deities, the display also included a model of HH Sri Sri Muralidhara Swamiji’s Madhurapuri Ashram which is located near Chennai in India.